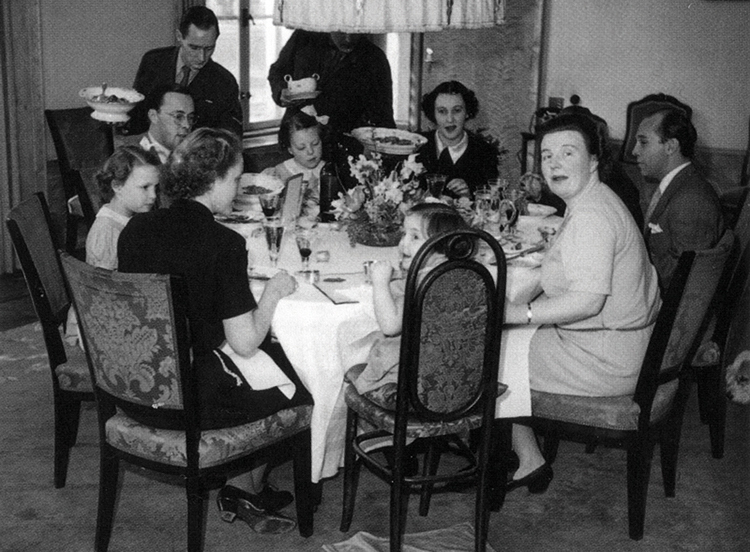 This work reflects on the impossible longing of former Dutch Queen Juliana to anonymously take part in Dutch society. To not be royalty but an equal to those deemed her subjects. 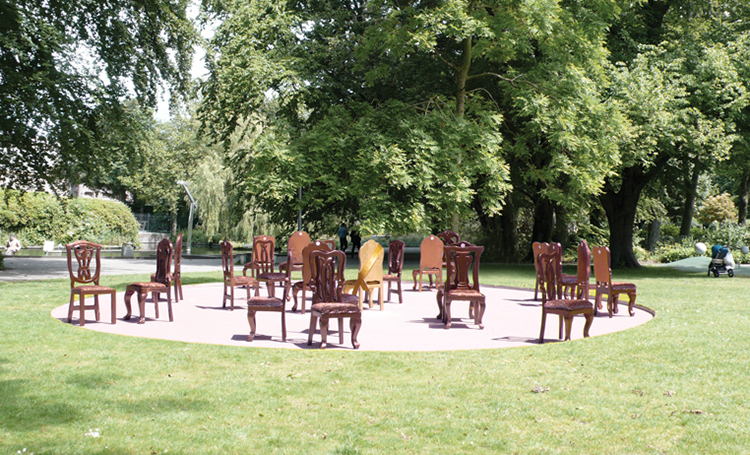 Sunk into the lawn of The Noordeinde Palace garden in The Hague, a platform is host to a large number of different dining chairs. 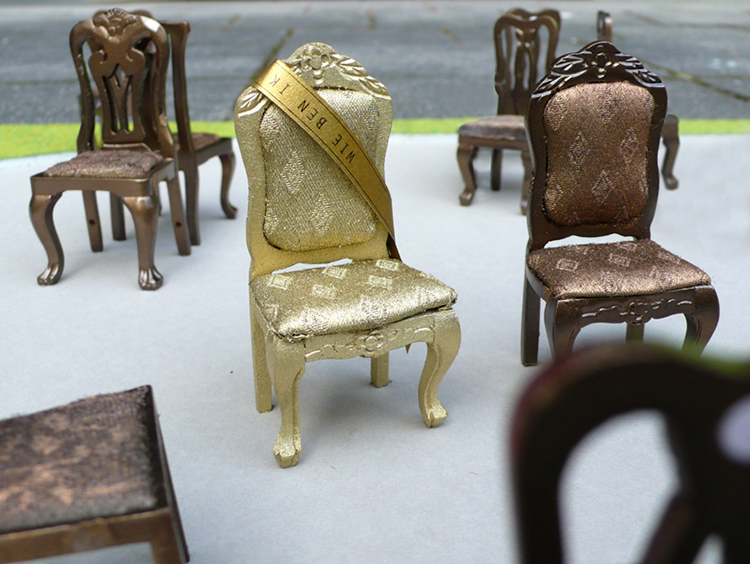 All are cast in bronze with a dark patina coating, except for the chair in the middle. This one exception has a light patina that resembles gold. 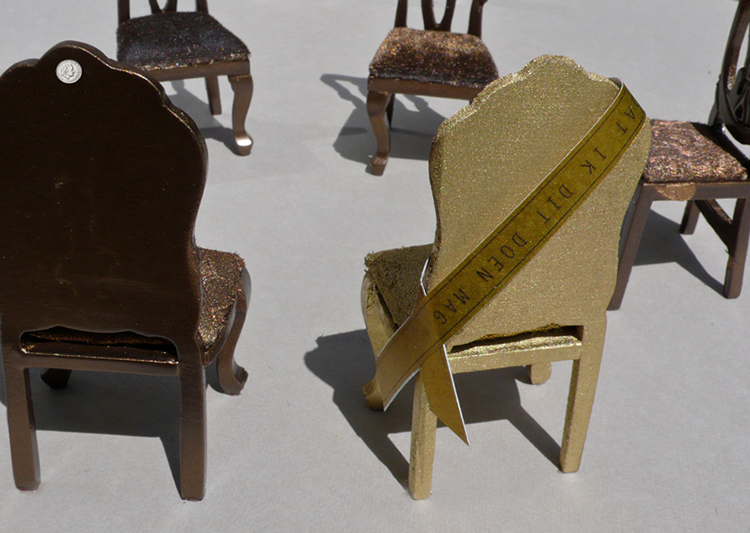 Over the backrest of this ‘golden’ chair hangs a ribbon, carrying the words: Wie ben ik dat ik dit doen mag? (Who am I that I may do this? ), which is a famous quote of Juliana from her coronation ceremony in 1948. 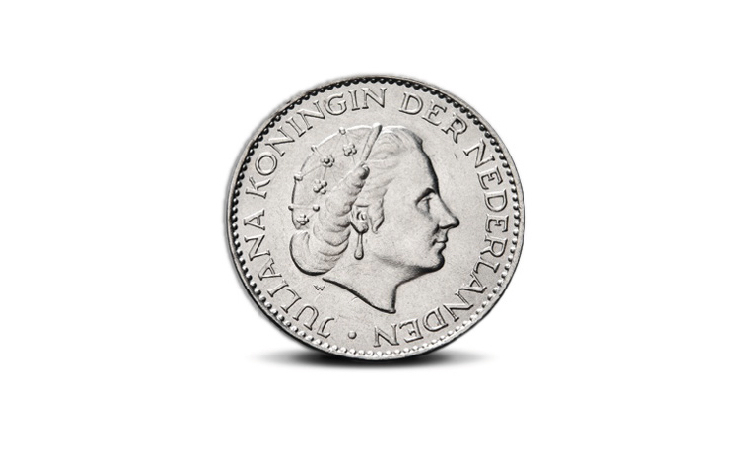 The other chairs have no ribbon, but they carry a ‘label’ pressed into the backside of the backrest which is that of the former 2 ½ guilder coin (Rijksdaalder in circulation 1959-1980), showing a well-known portrait of Juliana. 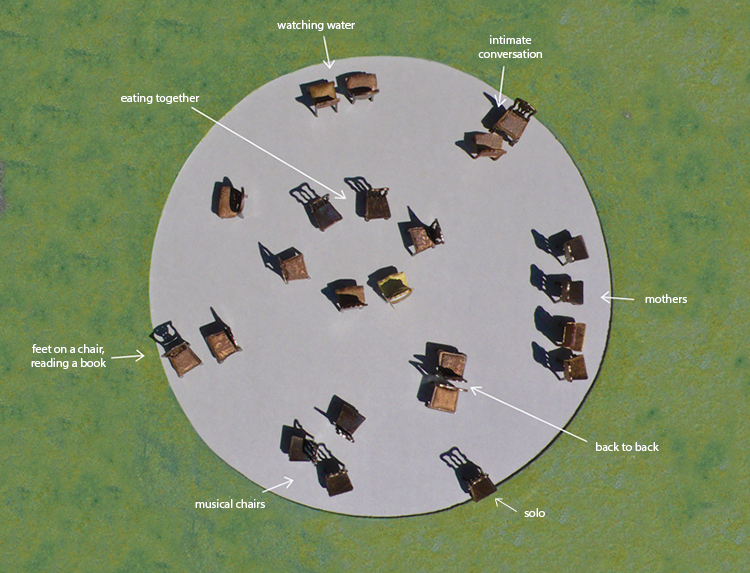 The seats are dispersed in different constellations, with the Juliana’s chair standing in the middle of the shallow chamber. Each constellation seems to be a silent witness of an everyday event that occurred there: in the center, several chairs are -together with the golden one- arranged around an imaginary dining table, nearby an intimate conversation seems to be taking place, further on two persons have apparently been watching the water and on the seat pulled to the very edge of the platform sat somebody who wanted to be alone. The monument is not a statue on a column but a place that invites you to stay in. Welcome. Join. Take a chair.